Goalkeeper Liam Roberts believes there is a different mentality to Walsall’s defence this year. The Saddlers struggled at the back last season but they now look much more solid despite keeping the same personnel, writes Robyn Munro. 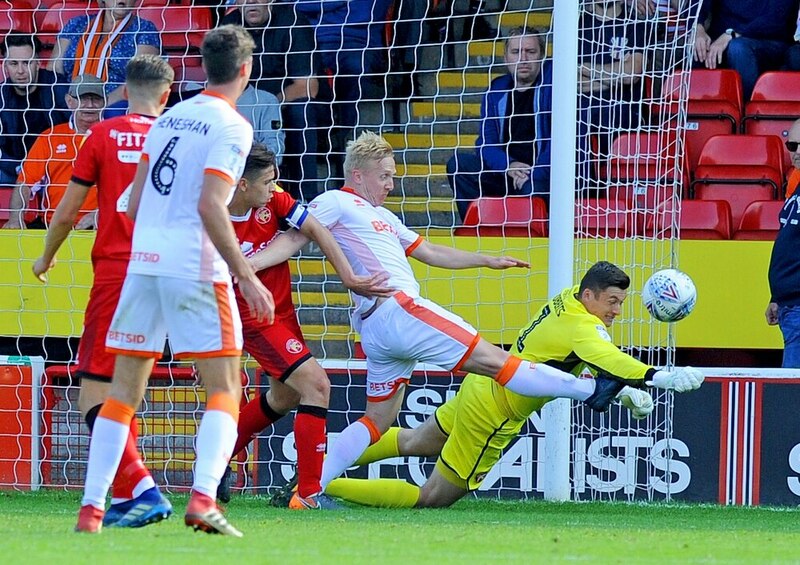 Roberts, together with Nicky Devlin, Luke Leahy, Jack Fitzwater and Jon Guthrie have helped Walsall make an unbeaten start to the League One season. And Roberts feels manager Dean Keates has been influential in making the team more defensively sound. “I think with the gaffer coming in there’s a different mentality to the whole defensive unit,” Roberts said. “We are more positive, we play on the front foot and I think we are defending further up field now so we are defending higher up the pitch. “We’re working as a team and there’s a lot more communication, there is a massive togetherness within the squad. “The defenders have been outstanding, ever since pre-season. They’ve come in with a different mindset. “I’ll always praise them because they’re doing an excellent job in front of me - and the less I have to do the better it is for the team. Roberts, who is enjoying his first season as Saddlers number one, has impressed in the opening few games of the campaign. But the 24-year-old knows he has to keep working hard to keep his place in the team. “I’ve done okay in the games so far but I am my biggest critic," the glovesman continued. "There are certain things that I can work on and there are certain areas that I still need to improve on. “I need to keep working hard because if you work hard in the week you can then go and express yourself and enjoy the Saturday. “I know that I have to keep improving to make sure I keep my place. I need to keep that number one shirt on my back and I need to keep playing, the gaffer said that.